Halloween has been sneaking up on me. Between moving into our house, starting a new job, unpacking and travelling, my time for holiday decorating has been limited. This is the first house we have had a legitimate mantle to decorate and I've been so excited to build an eclectic group of pieces to reside here. With moving comes the purchase and re-purchase of lots of things, leaving my budget for holiday decor, small, and kind of sad. 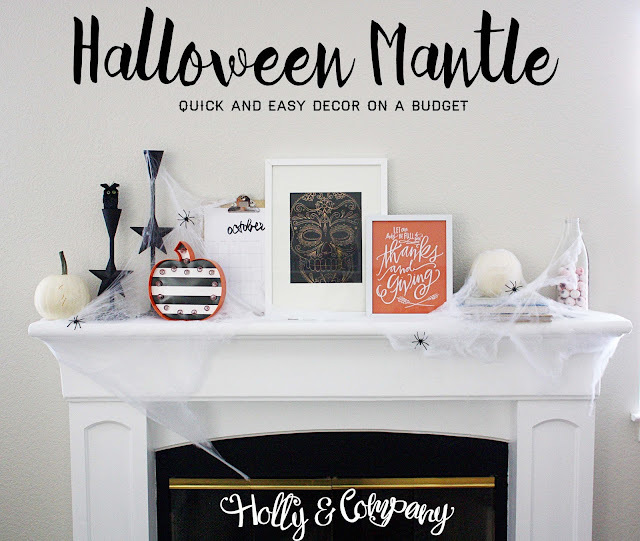 I was determined to create a fun mantle without dropping $$$. Using many pieces I already had, I created this mantle for less than $20! The candlesticks, books, clipboard calendar, frames, Lindsey Letters print, and glass bottles, I already had. This mantle will transition into my Thanksgiving mantle using many of the same pieces. The only item I made was the foil sugar skull print using my Minc foil. I found the free PDF here. Alexis of Persia Lou has a great tutorial for this over on her blog here. 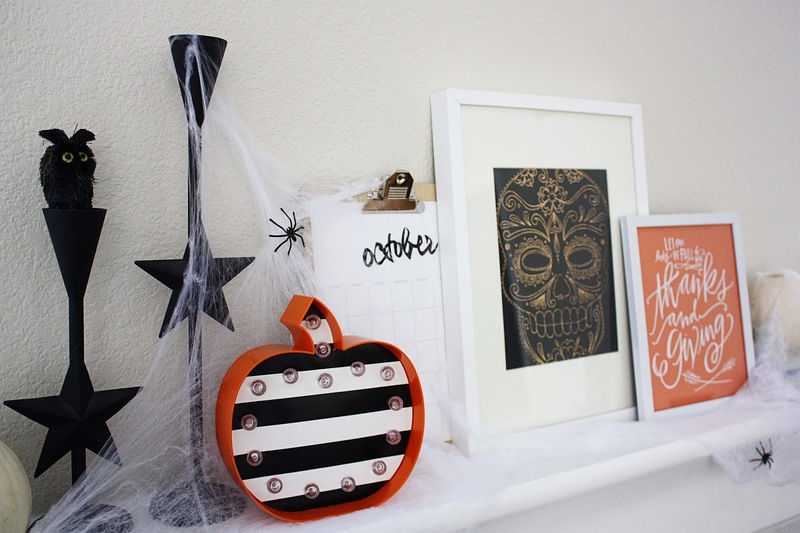 Do you have a place in your house where you decorate for the seasons? I get to have two Christmas tress this year, and a mantle....you bet I'm excited!